Our domain expertise has enabled us to provide a gamut of high quality Pulverizer Machine that are stringently manufactured at our well-equipped infrastructure. Exclusively used to grind material like PVC & various other grains ranging from coarse to fine size, these devices work in a cool atmosphere with the help of cooling jackets. In this range, the work feed material may be conveyed pneumatically to a collection cyclone. Offered range is specifically tested on various parameters of quality to ensure the production of a defect-free range. These machines are widely used in various industries and are available at market-leading prices. 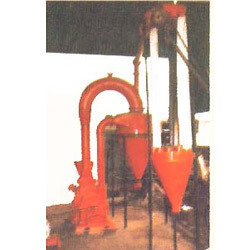 To meet demands of our esteemed in an efficient manner, we are offering the best-in-class Steel Pulverizer. These products are manufactured by highly skilled workers by making use of high quality steel and advanced technology. Designed to perfection, these products are backed by features such as longer service life, resistance against corrosion and sturdiness. We involve in delivering quality-assured products to our customers, therefore we review the quality of these products before delivering to the clients. Looking for Pulverizer Machine ?